Our bar is officially open for the season, Thursdays through Sundays. Like us on Facebook for events, drink specials, and more updates! Washington Park is the perfect place to kick back and relax with your family and friends. 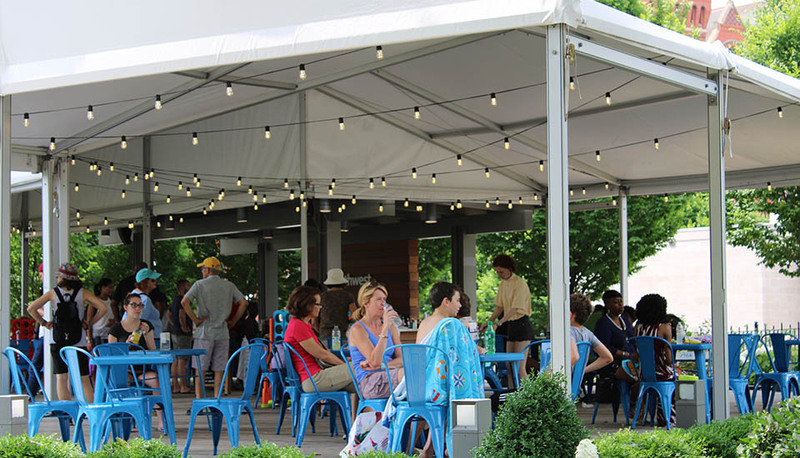 The park features a concessions area with beer, wine, liquor, soft drinks and light snacks, along with tables and chairs to enjoy a drink or meal. Many spaces in the park can also be rented for weddings, corporate events and private parties. For more information about hosting a private event, including available dates and amenities, please contact Our Washington Park Event Coordinator at rentals@3cdc.org or click here. 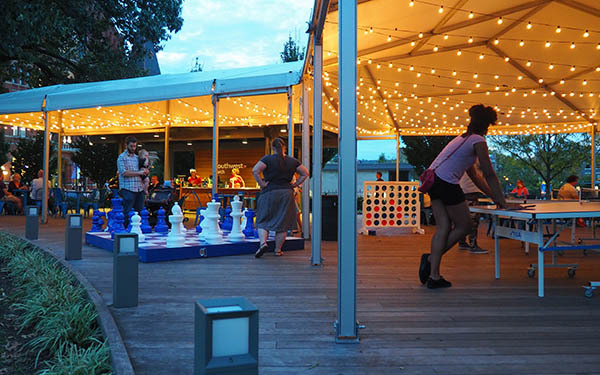 The Park proudly features Coca-Cola products and beer offerings from local favorites Taft’s Ale House, Rhinegeist, The Christian Moerlein Brewing Company, and Fifty West Brewing Company, in addition to Bud Light.